Individuals trust in the attention and expertise of medical professionals in facilities all across West Virginia. Unfortunately, it is not uncommon for people to suffer additional injuries or worsening conditions due to the negligence of these professionals. If you or a loved one was a victim of medical negligence, contact our firm as soon as possible. 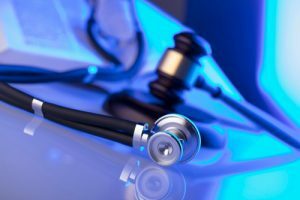 Each of the Charleston medical malpractice lawyers at Freeman & Chiartas have more than 30 years of experience guiding clients through the legal process. Whether your injury was caused by a surgeon, emergency room staff, nurse, anesthesiologist, pharmacist, chiropractor or dentist, we can help. Based on your unique condition, we can work with trusted medical experts to get a clear understanding of what went wrong while you were under the care of a physician. Trust our firm to aggressively pursue the maximum compensation possible for you. Many patients hesitate to hold a medical professional accountable for clear instances of negligence or inattention. If your condition has worsened, you have endured unnecessary surgery or you have suffered a lengthier recovery time based on medical malpractice, contact our firm today. If you need a skilled Charleston medical malpractice attorney, schedule a free consultation at Freeman & Chiartas by calling 800-766-9441 or completing our convenient online contact form.